We are pleased to have Rohit Shukla here sharing with us, his journey, studyplan for General studies, Psychology and Public Administration. I was good in quizzing as a student and was aware of national issues since chilhood.However during/after graduation (BTECH) it all disappeared. It was during my stint in a private IT company that I realised about my life’s priorities and would ultimately make me a happy individual.Hence,I resigned and started preparing. I did not have any idea initially about optionals etc. I had resigned from my job in a hurry and had to appear that year only.I came across Mrunal’s blog and after going through it chose public administration as the pre optional(it was useful in all stages of the exam).Later on based on personal interest I chose Psychology as the second optional. Q. People initially prepare with much enthusiasm but then they become slack after some time for various reasons. How did you sustain the momentum throughout the journey? The biggest force in life comes from within,when you really want something.I was so frustrated (at the same time energetic) that I wanted to change my life quickly.Hence, boredom even if it came was not allowed to rule.Family support is of prime importance in this exam.In my case , i was insulated from even my closest friends and relatives.I hardly ever talked about my preparation with anybody in my family( except my mother).I found that switching subjects after 2 hours is a good way to reduce monotonicity .Run in between,play with pets , watch some news( for half an hour) and be back to study.Whenever you feel you are wasting time-just think about the job in hand,your objective. My average study hours- around 8. For core syllabus of GS it took 3 months initially.In case of optionals, public administration finished quickly but psychology took 3.5 months. Internet is indispensable for civil service preparation and I feel UPSC wants us to use it .Wikipedia is the best source for any topic.Also , one can quicky check about the background of any topic before studying using internet. But caution must be taken to ensure that useless stuff is not browsed during study time. I did not do any special preparation for the essay. I wrote one full essay before the exam and got it evaluated . I also increased my knowledge base which helped in the essay.Essay should be interesting , in simple language ( yet appealing) and should have a natural flow as per the topic with a balanced conclusion. I wrote the essay on “ creation of smaller states” in mains 2011. I got 108 marks. I was shattered after not clearing mains written in my first attempt . After 10 days , with the help of my mother’s support and words of wisdom I started preparing again.I was told that since I am so disappointed it only means I am very close to my target. CSAT was introduced which was a welcome step .In my previous attempt, I had not met some criteria like to the point answers,proper examples,analysis,introduction and conclusion of answers etc. I took guidance from my teachers and corrected those mistakes. Candidate’s profile is for the candidate , not the interview board. If one feels satisfied and can justify himself, there is no problem.Studying from an unknown college is not a problem.Work experience if there can help if one is prepared and can handle questions on it.It is only one’s confidence and the attitude on the day that matters.Plus interview is so much subjective that anxiety is of no use. Questions were mostly on my job experience,hobbies,graduation (apart from some on optionals and others were situational). In any case I would not have returned to my previous work. I would have tried for administrative jobs in state services, Bank PO etc. But frankly I didnt have any solid back up plan. I cant suggest much since I studied after resigning only. What is your message to the aspirants? Only one person-My Mother. On a December day in 2009, I called my mother from my office and told her that things were not to my liking and satisfaction there. She forced me into quick introspection based on my attitude,life aim,past experiences and what I was doing when I felt good last time. Civil service preparation emerged as the solution.After deliberation for 4 days,the decision was made. Report of 2nd ARC Commission. Most important approach is to interlink the two papers, using relevant examples from current events,analysing through facts , answers should be new and not bookish at all. Syllabus completion here is important but more important is understanding of relevance of all topics in day to day administration. I prepared my biodata for a set of probabale questions and took mock tests. I was in KK Paul Sir’s Board. It was on expected lines ( mostly profile based) but I felt I did not get much opportunity to open up. Finally the most important question! In the era of blatant marketing propaganda, I also have two similar but unloaded questions. And You can reply “No”, yet it’ll be published without distortion. It has mostly serious aspirants so one adds value to his preparation through sharing of info,discussions here.Plus great inputs are provided for study material also.It is a no nonsense type of forum and different from others . 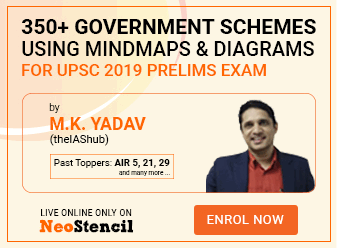 The first page that I visited in search of optional subjects was that of Mrunal.I am indebted and use this opportunity to thank Mrunal for his help to all the aspirants since the information,topics,explanations are such in nature that one does not need a second read. Awesome to see one of our alumni making it right through.. I will be hopeful of joining the Ivy league this time..
Can you tell me how useful where crack ias notes?? I am reading them, at least polity is very good. But they are not enough. Thank you very much for this immensely helpful article. I have a small request to you sir that if you can separately explain about Psychology subject as I am totally confused about this subject from where should I start and how to prepare it as I am unable to get coaching classes. Hey Mrunal! I would like to ask you something….I would like to know in what all locations can an IRS OFFICER BE POSTED? As it in not an all india service, like ias in which you stay within your cadre, so does an IRS officer get posted only in tier 1 cities or in towns and villages too (like IAS and IPS)? Thanks! An IRS officer can be posted only in Tier 1 or 2 cities. Its not a state govt. job and rather a central govt. job therefore one can be posted to anywhere in India i.e. inter state transfers also take place.If u want a cool family life and a civil services job too then this is the best job one can have. 5 days working (being a central govt. job, postings only in cities( for eg. if one is posted in bhopal circle then he can get posted to only bhopal, indore, raipur, jabalpur, bilaspur and might be a few more similar cities). Thanks a lot Akash for the inputs! I am sorry for the late reply! A stable family life without political interference is more lucrative to me than Glamour! Good luck for your prep, cheers! sir, firstly heartiest congratulation on ur success…..i am 3rd yr btech student accn to u what should be my first step at this point of tym to start prepn for civil services n how to do it??? I seriously need your advice on whether it is required to remember the name of the psychologist who conducted the experiment while quoting examples in psychology??? I mean except the ones like freud, Maslow etc when I am just quoting an example to explain an answer? Sir please do reply I really need it!!! Everyone is suggesting me to follow at least one magazine. I don’t know which one to follow, darpan is the worst magazine I came across. Someone suggest me a good magazine to follow. hello.sorry but above profile indicates that u r coming from english medium school…..